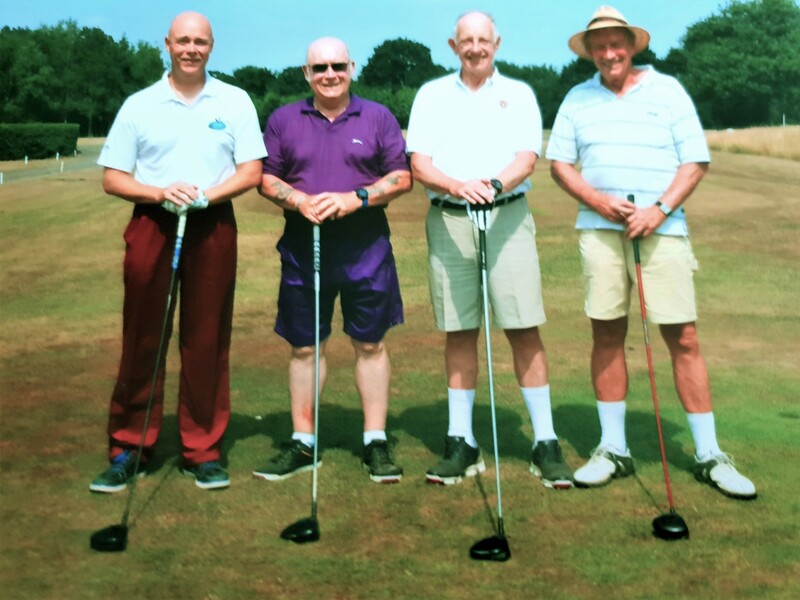 A team from the Mark Province of London took on the rest at the Essex MMM Charity Golf Day 2018. 68 players from Essex and other Provinces played 18 holes at the Stockwood Park Golf Club on a baking hot day, but London emerged victorious. The London Team of WBros Wes Hollands, Glen Sapsford, Alan Wakeford and Bro Stephen Wakeford (same hairstyle as Alan!) emerged victorious. All the team came in the top twenty and took the prestigious team prize by a clear 6 shots. Other prizes included Wes with Nearest the Pin, Stephen with Beat the Professional’s Shot and Alan Individual 4th. After Kent taking our trophy last year it was good to take another Province’s trophy to London. Overall, a great achievement which proves that it’s not just the taking part that’s important……..IT’S THE WINNING!!! !